Floral bouquets and gift baskets designed to please! 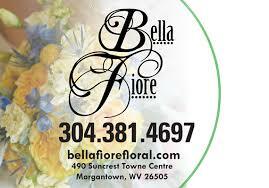 Whatever the occasion, Greater Morgantown’s locally owned florists will arrange the perfect bouquet. The freshest flowers delivered same day to your special someone for a birthday, anniversary, holiday, graduation or just because! Shop in store or online today! Offering the finest hand selected botanicals to create arrangements that make intimate connections between family, friends, and co-workers. FTD florist offering online shopping. 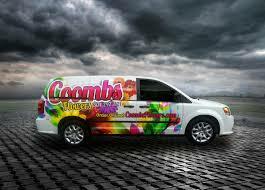 Same day delivery to Morgantown and suburbs. Hours: 9:00 a.m. to 5 p.m., Monday through Friday and from 9:00 a.m. to 2 p.m. on Saturday. We are family owned and operated in Morgantown, WV. We are committed to offering only the finest floral arrangements and gifts, backed by friendly service. Our professional staff is dedicated to making your experience a pleasant one because all of our customers are important. Making your floral gift perfect is our main goal. Owners, Penny Cross and Tamara Self, along with designer Christopher Burkett and our professional staff, provide the Morgantown area with the expertise of a top design team. Zaccagnini Morgantown Florist was voted, by our customers, as The Best Florist in Morgantown in the WV Living/Morgantown Magazine “Best of Morgantown” awards 2016.